Humidity seems to be at its peak in Minneapolis mid-August, and unless you’re able to get away for a cabin weekend, it can be tough to find ways to stay cool. We’ve got the perfect solution: water features. While they’re popular everywhere from hotels to corporate plazas, they’re also perfect for your own backyard. Adding a bit of Zen with simple and tasteful design aesthetic, they’ll make your home feel like its own private getaway – right in the middle of the city. So, here’s our roundup of some of our favorite water features – and why they just might be the perfect match for you. 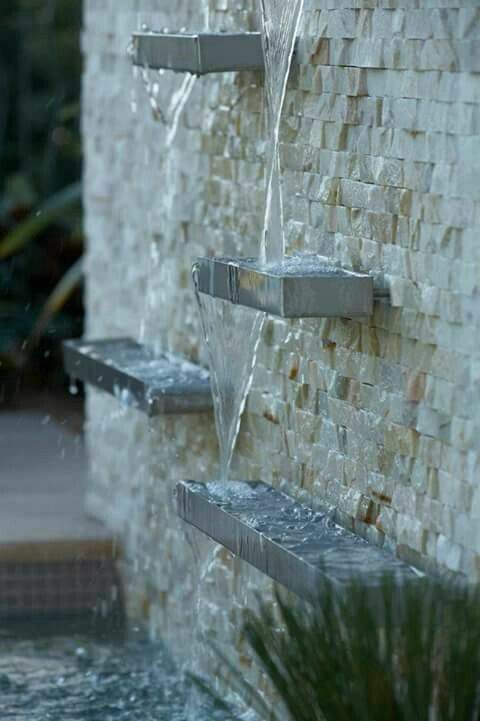 If you’ve got a smaller backyard, a wall waterfall is your best bet. Not only does it take up little ground space, but it can also create a big architectural statement. You can keep it simple with a faucet-style waterfall, or you can make a bolder statement with a full wall style feature. The multiple tiers with cascading effect add visual interest and depth. Such installations also create beautiful sound you can enjoy day and night, especially if it’s artistically lit. 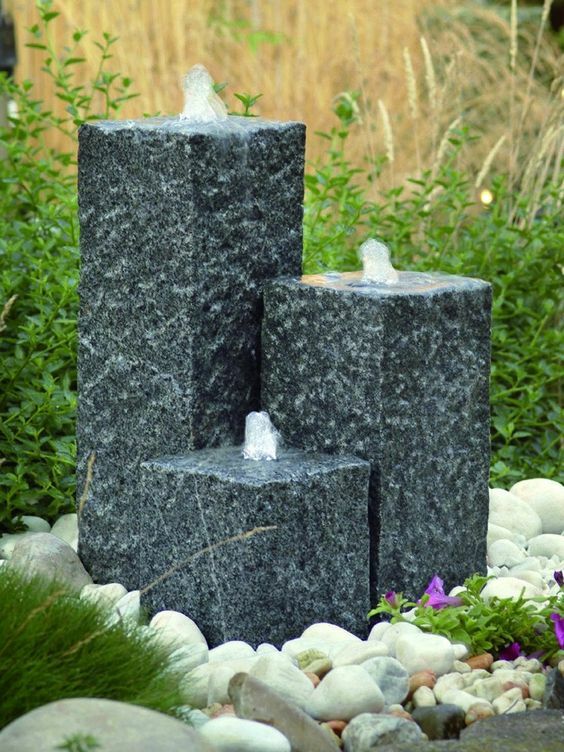 There are plenty of options, too – from wall waterfall styles to stand alone fountains, you can definitely find the best fit for your backyard. 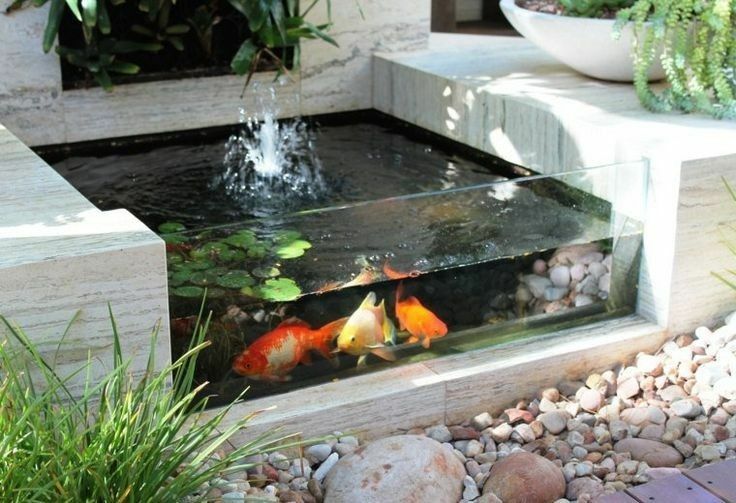 For people who prefer to keep water features above ground, water bowls, columns, and simple fountains are ideal choices. 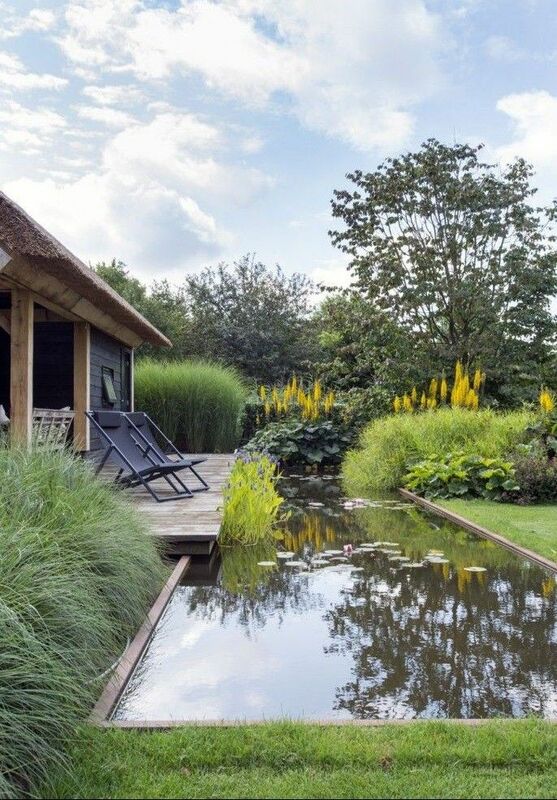 They can fit just about anywhere in your garden, and they come in a variety of different shapes and styles that evoke a feeling of calm and tranquility for any space. 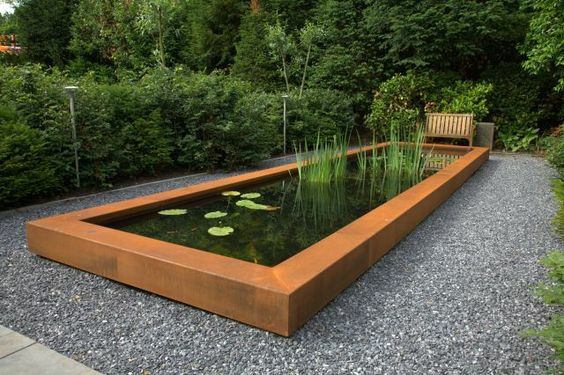 If you have extra space in your backyard, consider adding a small pond – not only are they absolutely perfect for extending your garden (water lilies are some of our favorite pond-friendly plants), but they’re also ideal if you love koi or goldfish ponds. Your backyard will feel like a total oasis. We love the contemporary vibes of elongated water troughs. They’re often a combination of a pond and a waterfall. Plus, they give a sense of architectural contrast to the space, whether dipping down below the deck line or raised above. 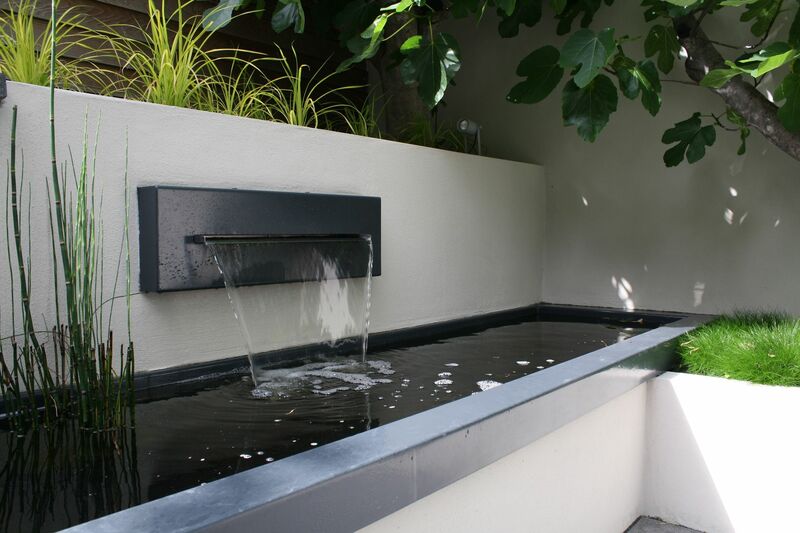 You really can’t go wrong with a water feature, especially with so many gorgeous modern designs to choose from. Each one is simple, yet makes a unique statement, which is always something we appreciate in outdoor design. 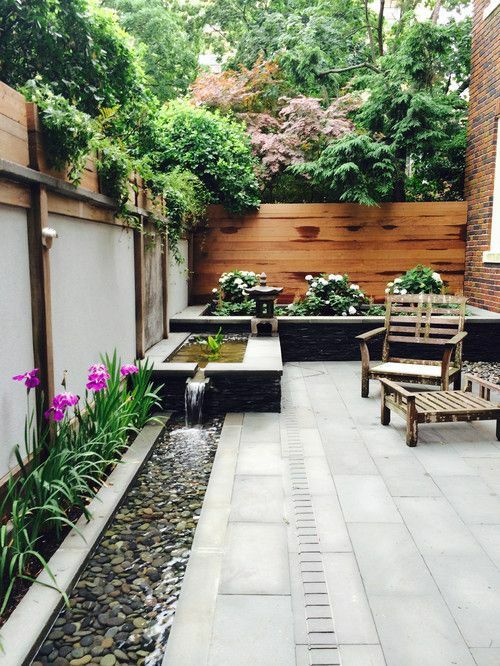 Create your escape within the city with a water feature, and you might find that you’re not quite ready for summer to end after all.